Your favorite TNT content anywhere you want! 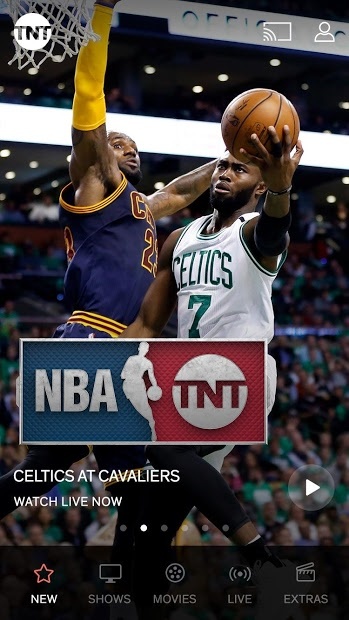 The TNT App makes watching full episodes simple and easy. 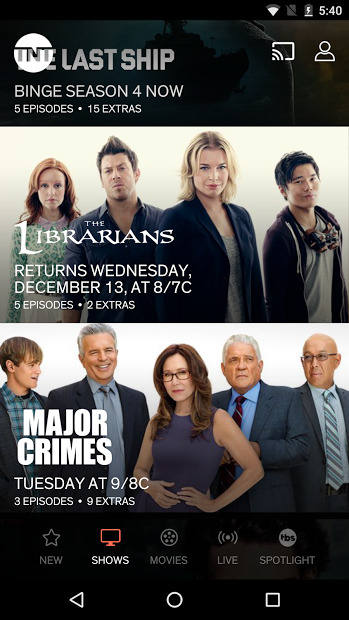 Sign in with your TV provider to watch all the TNT originals you love, like The Alienist, Good Behavior, Major Crimes, and more, along with favorites like Law & Order, Castle and Charmed. Watch anytime, anywhere. You can also watch holiday favorites like A Christmas Story and A Christmas Carol, and catch live sports, awards-shows and blockbuster movies on any screen connected to a Chromecast. Note: The app is free to download but to access the content, you may sign in with a compatible TV provider. You can watch 10 minutes for live TV and 5 minutes for on-demand content, without signing in. Burn those calories you gained on Christmas!